In 1991 the former Czechoslovakia and the Netherlands concluded an agreement on the encouragement and protection of investments (BIT). The BIT provides that disputes between one Contracting State and an investor from the other Contracting State must be settled amicably or, in default, before an arbitral tribunal. After the dissolution of Czechoslovakia in 1993, Slovakia succeeded to that country’s rights and obligations under the BIT. In 2004 Slovakia opened its sickness insurance market to private investors. Achmea, an undertaking belonging to a Netherlands insurance group, set up a subsidiary in Slovakia with a view to offering private sickness insurance services there. However, in 2006 Slovakia partly reversed the liberalisation of its sickness insurance market, and prohibited in particular the distribution of profits generated by sickness insurance activities. In 2008 Achmea brought arbitration proceedings against Slovakia under the BIT, on the ground that the prohibition was contrary to the agreement and had caused it financial damage. In 2012 the arbitral tribunal found that Slovakia had indeed infringed the BIT, and ordered it to pay Achmea damages in the amount of approximately €22.1 million. The Bundesgerichtshof (Federal Court of Justice, Germany), hearing the case on appeal, asks the Court of Justice whether the arbitration clause contested by Slovakia is compatible with the FEU Treaty. The Czech Republic, Estonia, Greece, Spain, Italy, Cyprus, Latvia, Hungary, Poland, Romania and the European Commission submitted observations in support of Slovakia’s arguments, while Germany, France, the Netherlands, Austria and Finland contend that the clause at issue and, more generally, clauses of a similar kind commonly used in the 196 BITs currently in force between the Member States of the EU are valid. By today’s judgment, the Court notes, first, that, in accordance with the BIT, the arbitral tribunal constituted under that agreement is called on to rule in particular on the basis of the law in force of the contracting State concerned by the dispute and other relevant agreements between the contracting States. In view of the characteristics of EU law, such as its autonomy with respect to national laws and international law, its primacy over national laws, and the direct effect of a whole series of its provisions for citizens of the Union and for the Member States, that law both forms part of the law in force in every Member State and derives from an international agreement concluded by those States. Consequently, the arbitral tribunal in question may on that twofold basis be called on to interpret or indeed to apply EU law, particularly the provisions concerning freedom of establishment and free movement of capital. The Court finds, next, that the arbitral tribunal in question is an exception to the jurisdiction of the Slovak and Netherlands courts, so that it does not form part of the judicial system of the Netherlands or Slovakia. It follows that the arbitral tribunal cannot be classified as a court or tribunal ‘of a Member State’ within the meaning of Article 267 TFEU concerning references for a preliminary ruling, and therefore has no power to make a reference to the Court for a preliminary ruling. 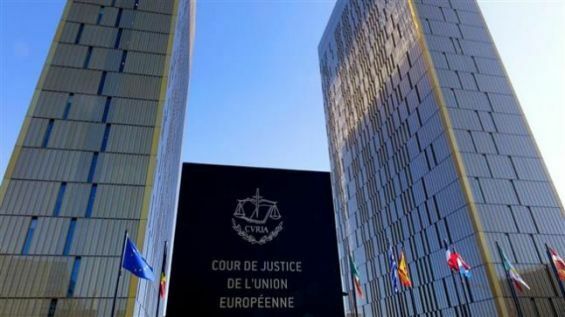 As regards the question whether an award made by the arbitral tribunal is subject to review by a court of a Member State which could refer to the Court questions of EU law linked to a dispute heard by the tribunal, the Court finds that, under the BIT, the tribunal’s decision is final. Moreover, the tribunal is to determine its own procedure and, in particular, is itself to choose its seat and consequently the law applicable to the procedure governing judicial review of the validity of the award it makes. On the latter point, the Court observes that such judicial review can be exercised by the national court concerned only to the extent that national law permits, a condition not completely satisfied in the present case, as German law provides only for limited judicial review in this field. The Court points out that, although the review of arbitral awards by the courts of the Member States may under certain conditions legitimately be limited in scope in the context of commercial arbitration proceedings, that rule cannot be applied to the arbitration proceedings at issue in the present case. While the former proceedings originate in the freely expressed wishes of the parties, the latter derive from a treaty by which Member States agree to remove from the jurisdiction of their own courts, and hence from the system of judicial remedies which the EU Treaty requires them to establish in the fields covered by EU law, disputes which may concern the application or interpretation of EU law. On those grounds, the Court finds that, by concluding the BIT, Slovakia and the Netherlands established a mechanism for settling disputes which is not capable of ensuring that those disputes will be decided by a court within the judicial system of the EU, only such a court being able to ensure the full effectiveness of EU law. In those circumstances, the Court concludes that the arbitration clause in the BIT has an adverse effect on the autonomy of EU law, and is therefore incompatible with EU law.